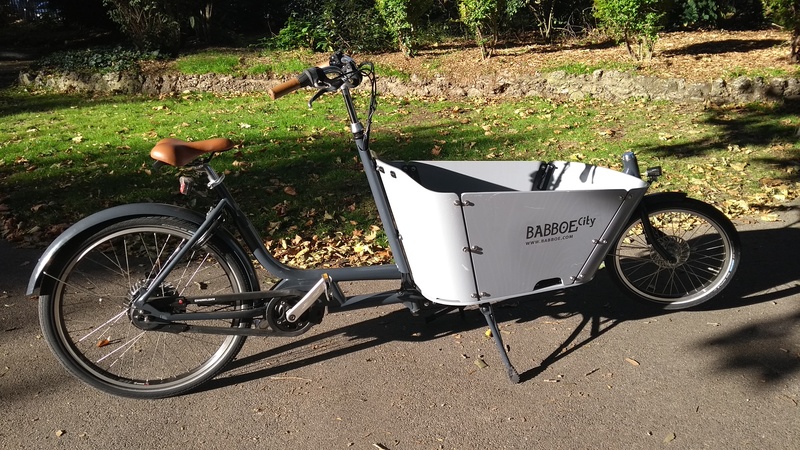 2) the Babboe Big trike - courtesy of our friends at the London Cycling Campaign! We and Hackney Cycling Campaign are looking after it for them, in return for being able to use it as a demo bike, and use it in the Hackney Family Cycling Library. Questions? Contact us to book a try-out of Babboe or any of the other brands we stock at our east London premises.